Côté Gourmet will take you on a journey. 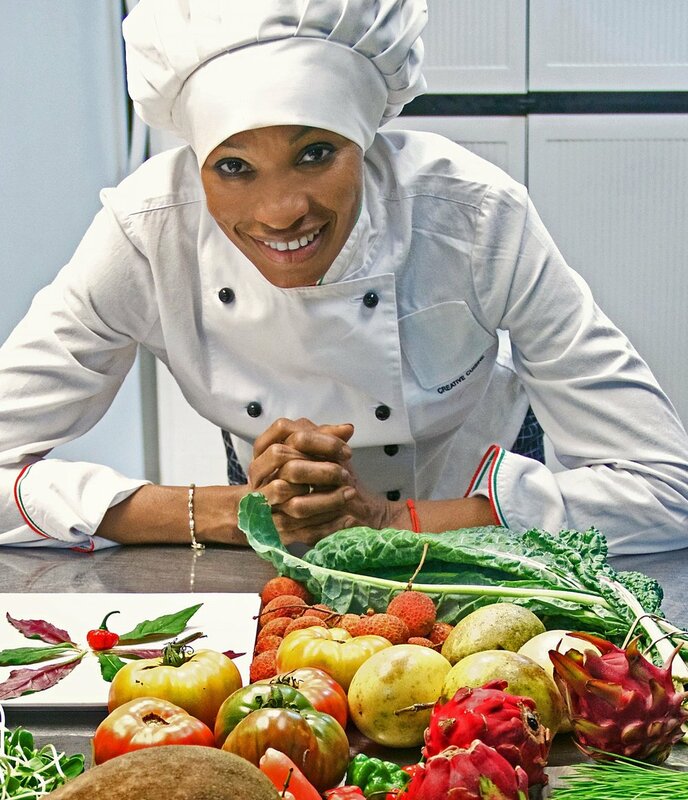 Enjoy the unique international cuisine of Chef Amina Ly, a contemporary mix of Italian and French favorites with a twist; energized by her travels from native Senegal across five continents to South Florida. Ingredients, as well as Amina’s approach to food, are local and fresh. Specials are - as some have said - very special. I am Chef Amina Ly. I was born in Senegal. I moved to Europe, where I pursued the Culinary Arts. I spent my youth working across the French and Italy, in different restaurants as a hostess, eventually moving into the kitchen. After years of training at top Culinary Schools, I decided to take to the sea, working on a yacht. For years, I was the yacht chef learning the creative flexibility needed to provide fresh high quality meals while moving across oceans. In those times, not on the water, I enjoyed cooking at the Monaco Grand Prix - including the honor of cooking for the Prince of Monaco. I’ve had the pleasure of cooking for royalty, now it is my great pleasure to cook for you. my husband matteo and I have a dream - and you are in it. Whether your food preference is paleo or vegan, fish or fowl, you will find fun food here. Let us put some wind in your sails. Join us for special occasions and weekly events such as Jazz Nights, Wine Tastings, Food Pairings and Brunch. Click CALENDAR above to find a favorite Côté Gourmet experience. Côté Gourmet has been called Miami Shores' "hidden gem." Find us on NE 2nd Avenue, where parking is free.